An intensive course (70 hours) aimed at advance students or professionals who wish to obtain an in-depth knowledge of skeletal pathology and traumatology. Fully taught, the training combines hands-on practical experience using a variety of pathological cases from the Cyprus Research Reference Collection (CRRC). The collection consists of up to 2000 individuals and is highlighted by a high number of pathologies present at varied degrees of skeletal expression. The lectures and practical tutorials aim to develop advance skills in the recording, diagnosis and management of skeletal pathology as a tool for human identification in the medico-legal framework; for reconstructing demographic and population health models in contemporary and ancient settings; and for understanding both biological and social implications of disease and trauma. The course is based on extensive hands-on skeletal analysis of pathological cases which aims to teach skills in the differentiation of pathological lesions and recording quality observations for aiding diagnosis. 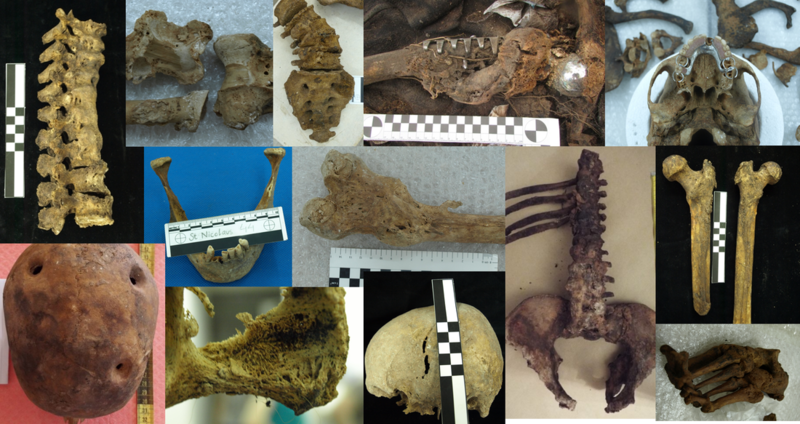 Learning Objectives - with hands-on analysis of skeletal cases of disease and trauma! Minimum: Human Osteology and/or basic/overview knowledge of skeletal pathology or palaeopathology is required. The course is open to everyone, student or professionnal. ​BA, MA, MSc, MPhil, or PhD (ABD welcome) in Human Osteology, Osteoarchaeology, Bioarchaeology, Archaeology, Criminology and Criminal Justice, Forensic Anthropology, Palaeopathology, Physical Anthropology, Biological Anthropology, Medicine, Biological and Medical Sciences, Forensic Pathology, Anatomy, Anatomical Sciences, Radiography/Radiology, Forensic Sciences. Undergraduates/Beginners: Background in human osteology and some basic knowledge of skeletal pathology is required to qualify for this course. If you are a beginner without any background knowledge, by combining the Human Remains Training Certificate and the Forensic Anthropology & Archaeological Excavation Fieldschool you will be fully prepared (and qualified) to participate in this advanced course. If you have an introductory knowledge of skeletal anatomy, by taking the Forensic Anthropology & Archaeological Excavation Fieldschool there is a significant amount of post-excavation analysis involved which will help you prepare for this course. Assessment: A practical, oral/written exam will be held on August 9th, 2019. Full attendance during the training is expected in order to qualify for the exam and certification. ​Minimum 5 participants are required for the course to run. 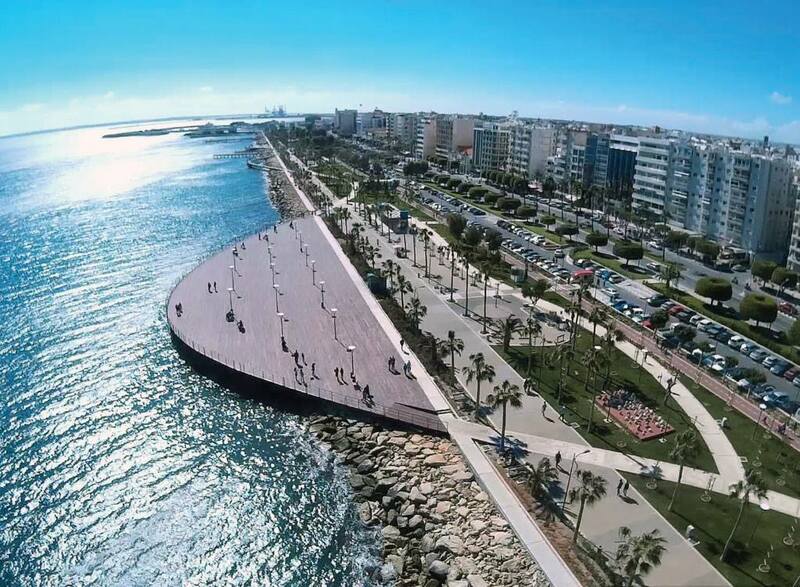 We offer accommodation in the heart of limassol, 5 minutes from the beach and in an area where is buzzing of life in the summer! You will not have a moment of boredom! Our apartments are equipped with WiFi but you can also go to any of the many cafes nearby. Restaurants, bars, multiple bus-stops connecting with the other parts of Limassol and other cities. We offer 50% off monthly bus passes too!!! Accommodation is basic (single beds/campbeds) and the sleeping facilities are on a shared (mixed) basis of multiple occupancy. Each apartment is fully equipped with a kitchen (cooking utensils, hob, oven, fridge) and a washing machine (if a washing machine is not available, laundry service will be provided for free once a week on a Friday). Secure location with 24/hr access to the building. We may provide a cleaning service once a week or every 12 days; although participants are expected to keep the place in good hygiene levels, tidy and clean.